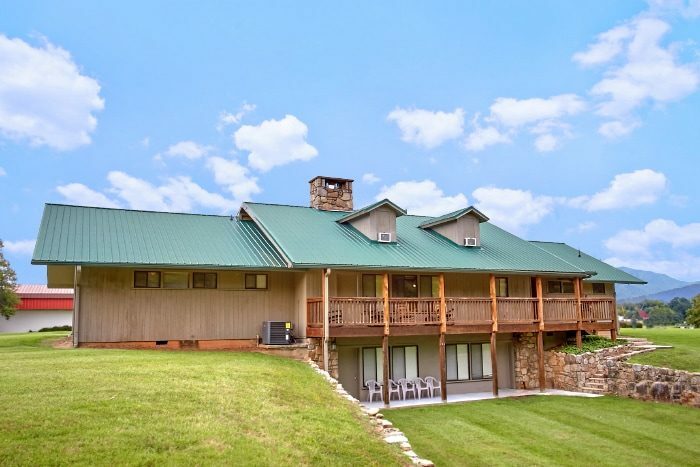 Come stay at this 6 Bedroom cabin in Pigeon Forge with your family on a Smoky Mountain vacation to remember! 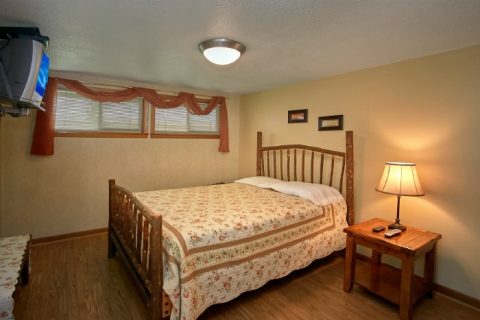 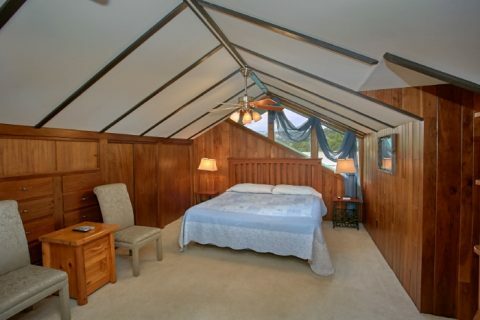 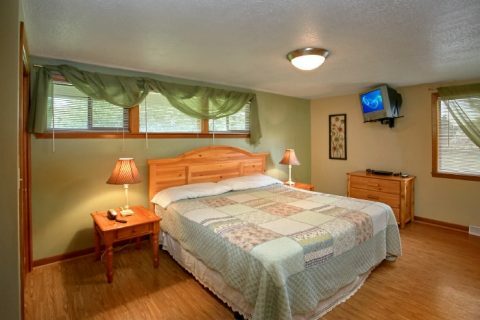 This cabin offers guests plenty of excellent cabin features and a prime location near popular Smokies attractions. 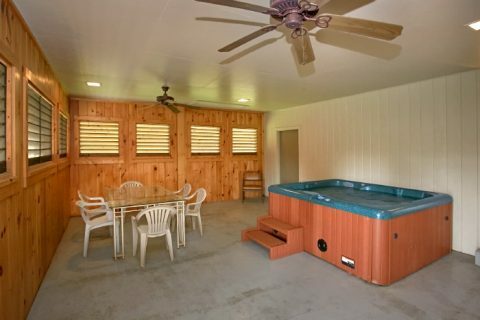 With a hot tub, fireplace, and more, you and your group have everything you need for a vacation spent reconnecting with friends and family. 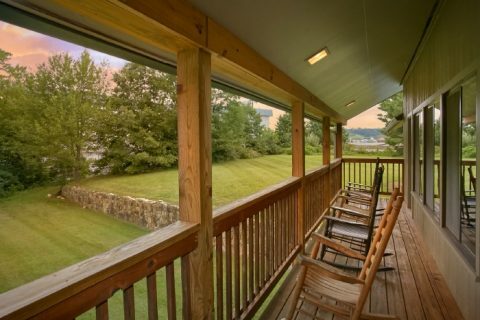 With a prime location and a cabin interior with great features, this will be the best vacation yet! 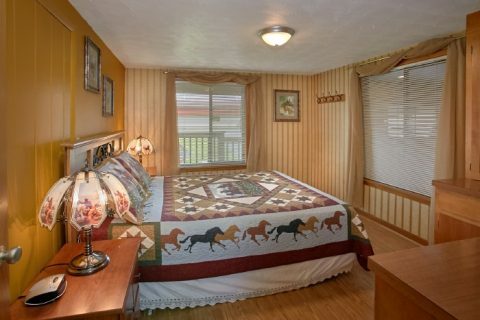 With Dollywood, dinner shows, shopping, mini-golf, and more, there's more than enough to do around this Pigeon Forge cabin. 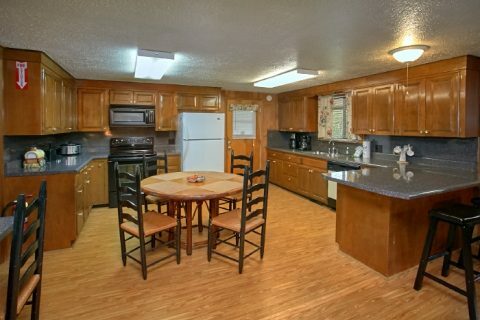 However, there's much to do without even leaving your cabin, too! 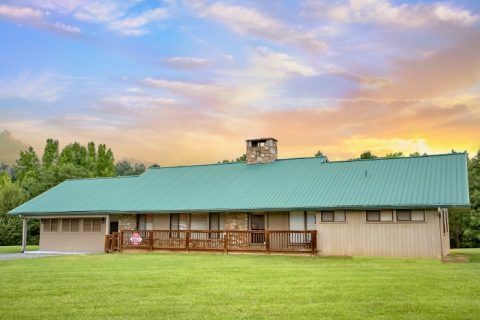 With 2 king beds, 5 queen beds, and 2 sleeper sofas, your family reunion cabin gives everyone room to rest up for another day of adventure in the Smokies! 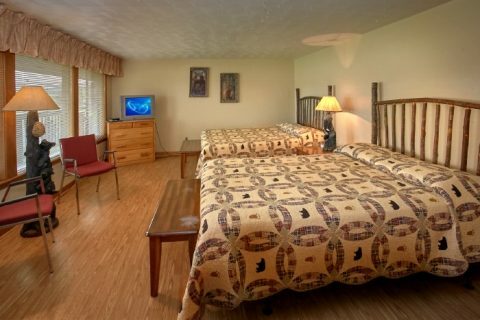 3.5 bathrooms give your family plenty of space to get ready for the exciting adventures you'll experience on your Smoky Mountain vacation! 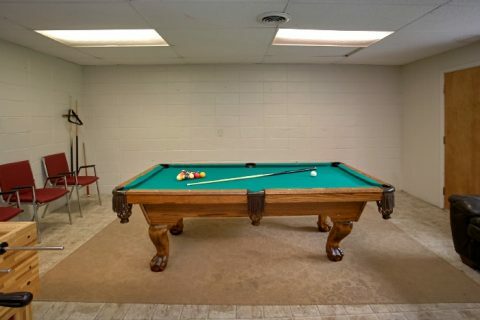 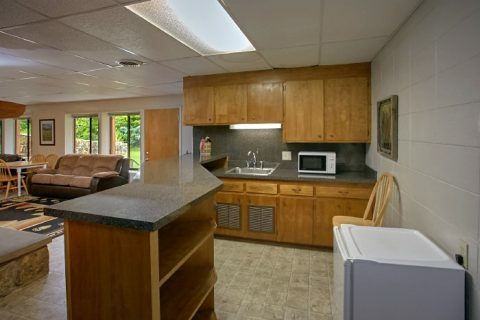 There's also plenty to keep you entertained in your Pigeon Forge cabin as well. 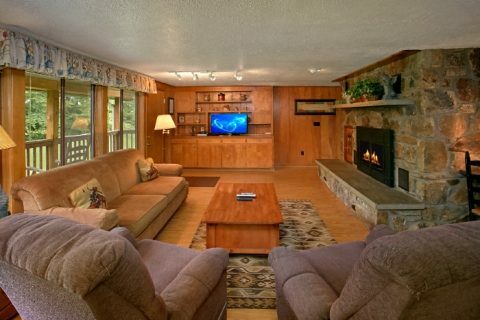 Your inviting living room with large seasonal gas fireplace provides the perfect place to gather and enjoy the company of family and friends. 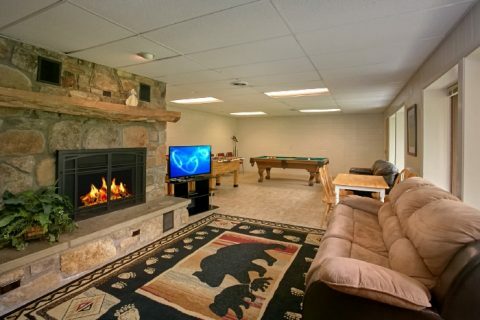 Try to set the high score on the multi-cade arcade game in the game room. 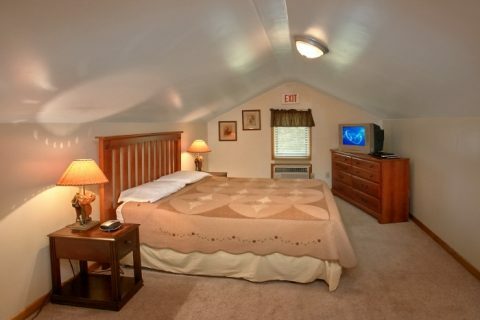 Wireless Internet allows you to stream movies and games in your cabin. 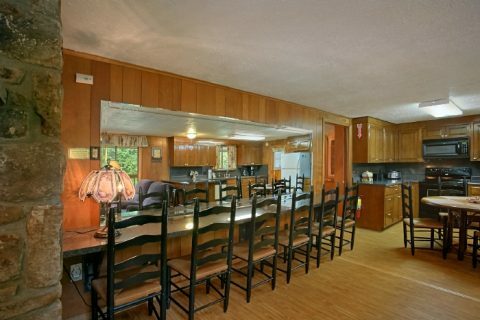 Your spacious, dine-in kitchen invites you to cook great meals to enjoy together at one of the several dining areas. 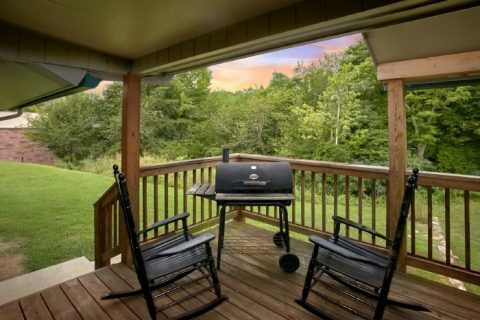 Outside, this cabin invites you to take in the mountain air while peacefully relaxing in the hot tub or cooking some burgers on the charcoal grill. Book this 6 bedroom cabin in Pigeon Forge with Cabins USA and start planning your memorable family vacation today!